KonAd participates in Open Source Development. In this Area we are especially building Ada libraries. Konada.Db is an Ada library for easy access to Oracle Databases. Konada.Db is built on top of Dmitriy Anisimkov's Ada Oci library, a binding to the Oracle Call Interface. Konada.Db is released under the GMGPL (see the source). 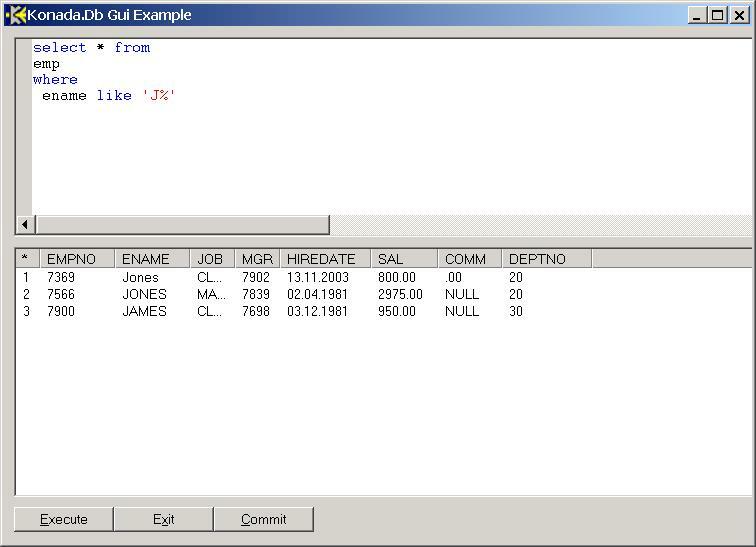 Look at a Screenshot of a simple SQL Query Tool built with Konada.Db and David Botton's Gwindows Library. This example is contained in the Distribution. For installation look at the README file in the top level directory and follow the instructions. 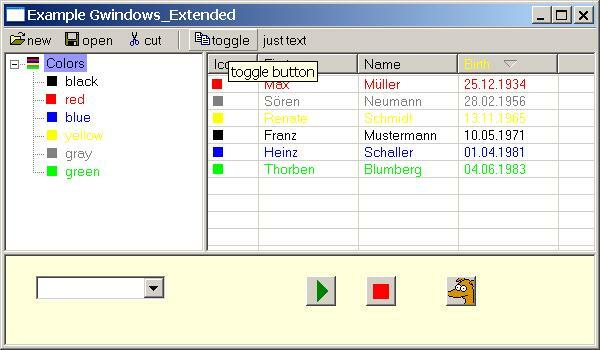 GWindows is an Ada binding to the win32 api which is centered on the graphical user interface. GWindows is now hosted at Sourceforge. Our extension library contains packages which enrich GWindows with state-of-the-art windows controls. Gwindows_Extended is released under the GMGPL (see the source). Extended list view controls with header drag and drop, column sorting, coloring at subitem level. Icons at item level, Grid appearance and more. You may use colors in the header and you may sort with respect to two columns. Also you can specify a column as a date column and sort chronologically. Extended toolbars with tooltips, flat buttons, check-style buttons and icon support. Extended tree view controls with icons and colors and a new event which occurs when node selection changes. The user may edit a tree node label. A combo box with autocomplete behavior. Look at the Gwindows_Extended Example which is contained in the distribution. Or look at a Screenshot from our current development which shows a workflow client. If you want to use Gwindows_Extended you have to become familiar with Gwindows first. The source is contained in the "bindings" subdirectory.